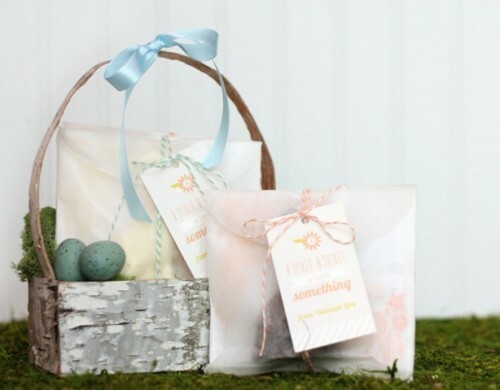 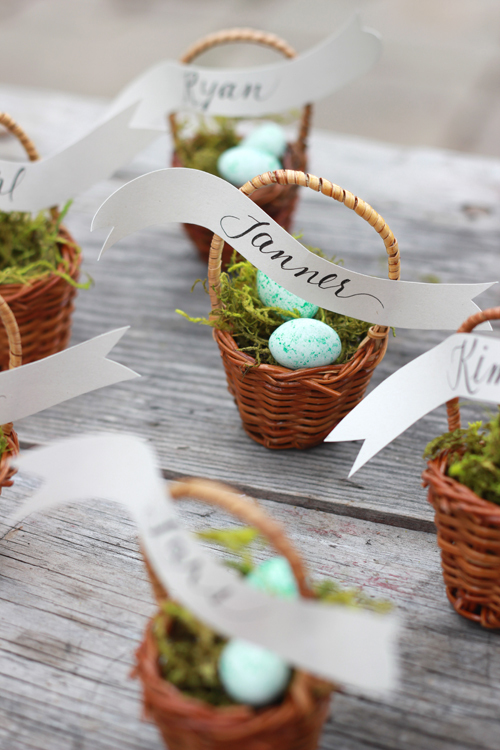 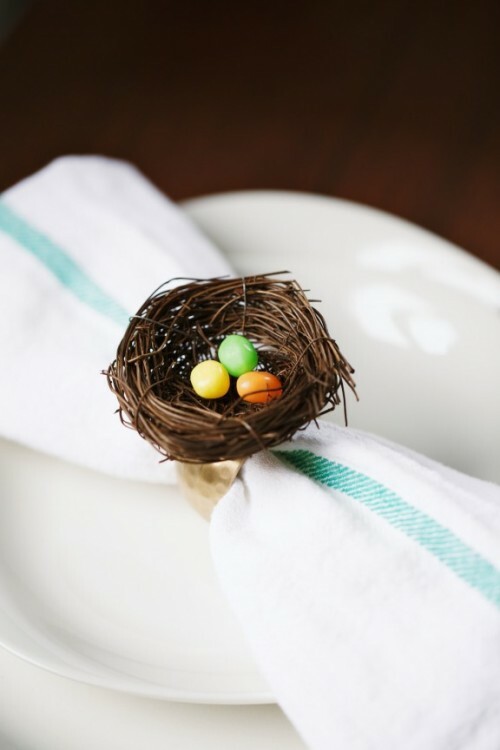 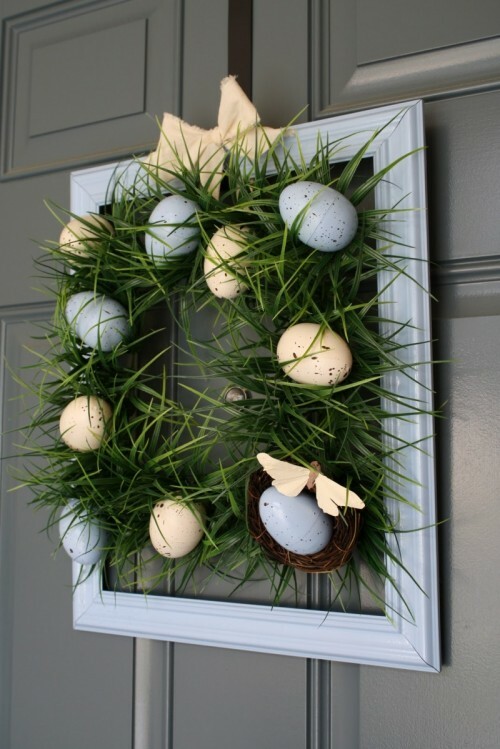 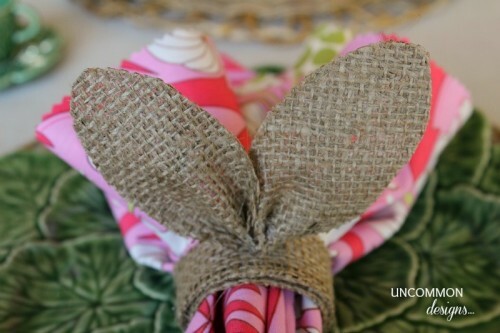 If you’ve decided to have a rustic Easter, that’s a cool idea! 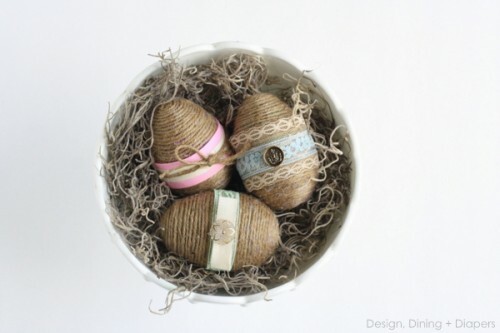 Burlap, twine, paper, even moss and twigs will be your materials. 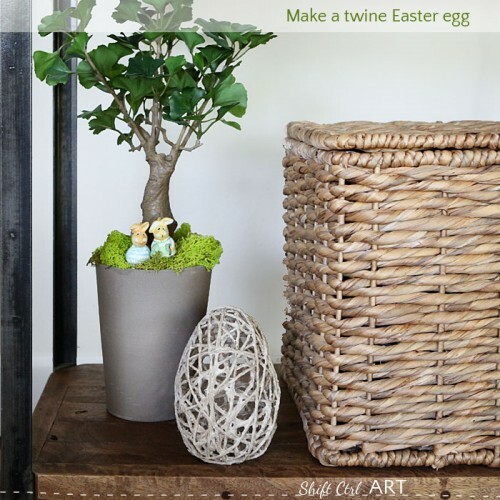 Don’t want to paint eggs like everybody does? 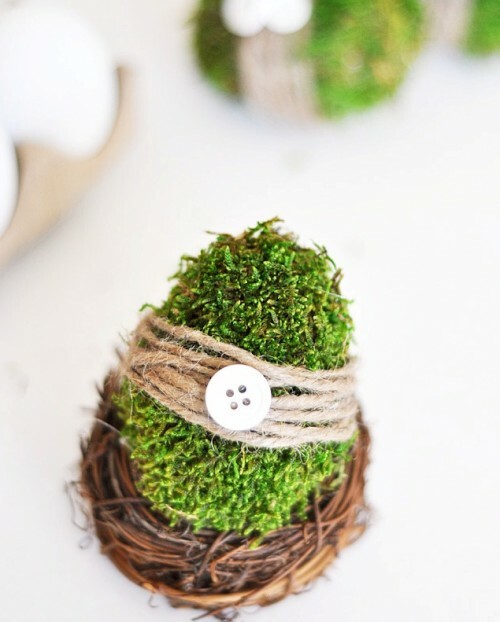 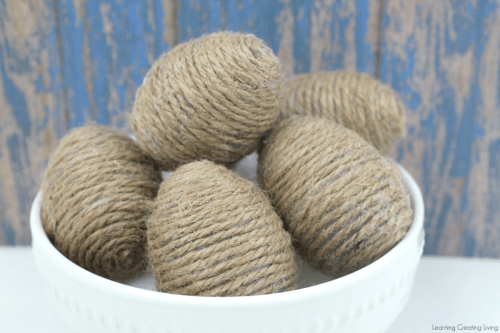 Wrap them with twine, moss, felt or make string eggs for décor – it’s an original décor solution and rustic, too. 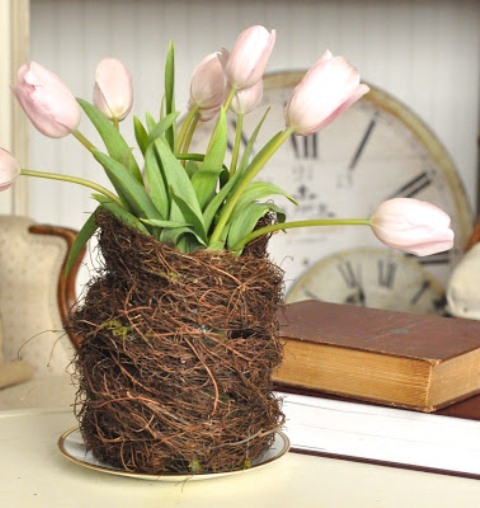 Grapevine wrapped around a vase can make a great centerpiece, and burlap napkin rings will accentuate the table setting. 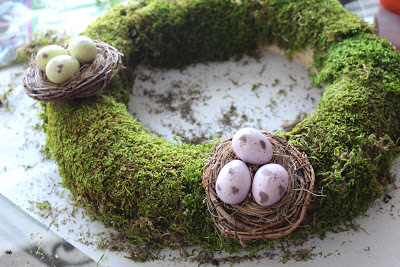 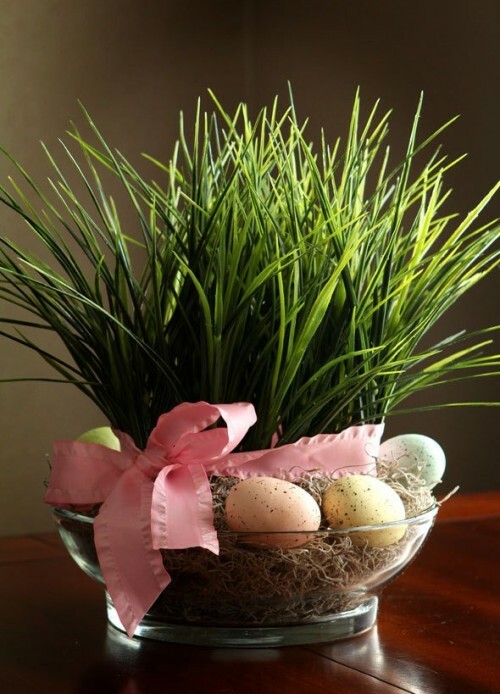 A basket made of birch bark and filled with moss and eggs is a cool Easter decoration. 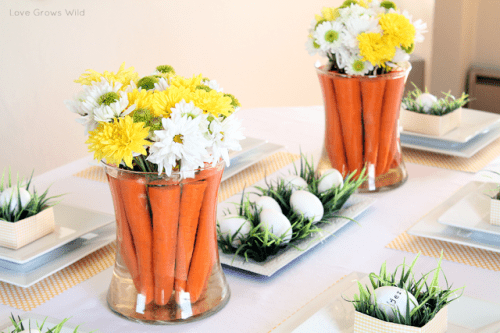 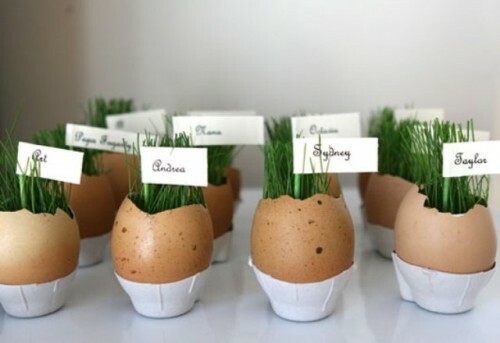 By the way, you may use the egg shells as vases, too! 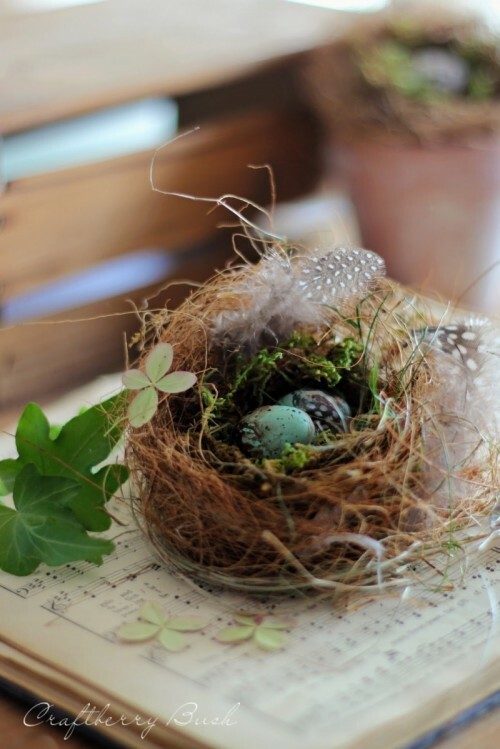 Read the tutorials below and prepare the materials!